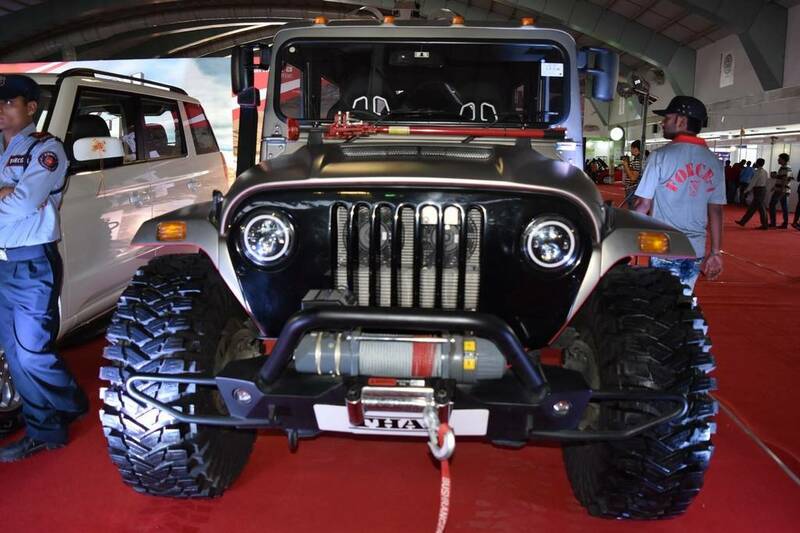 Mahindra & Mahindra has showcased the Daybreak Edition of the Thar off-roader at the 2017 Surat International Auto Expo. 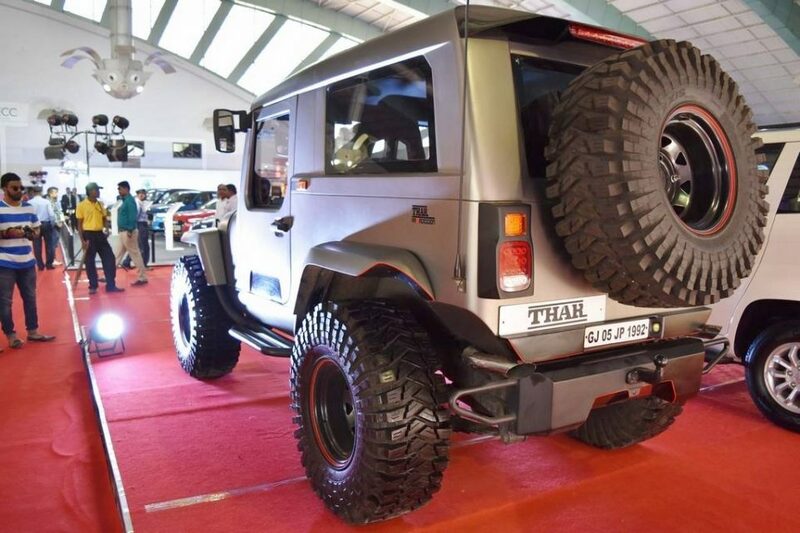 The heavily accessorised version of the already rugged Thar SUV is not a stranger to the motoring exhibitions as it debuted at the 2016 edition of biennial Auto Expo in Greater Noida before occupying Mahindra’s counter at the recent Autocar Performance Show. 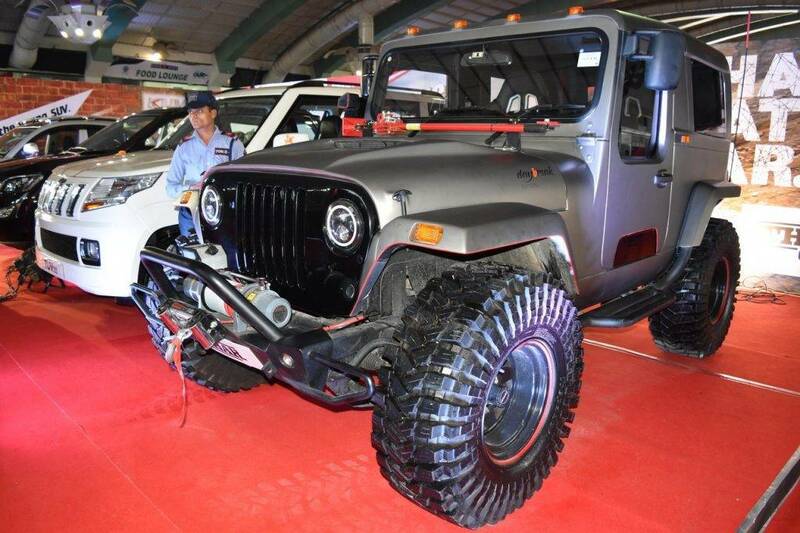 However, there is a major difference to the showpiece Thar in Surat compared to the other two motor shows. It now has a solid roof in place and the modification is performed by none other than the Mahindra Customisation unit that specialises in aftermarket fittings of the regular Mahindra models. 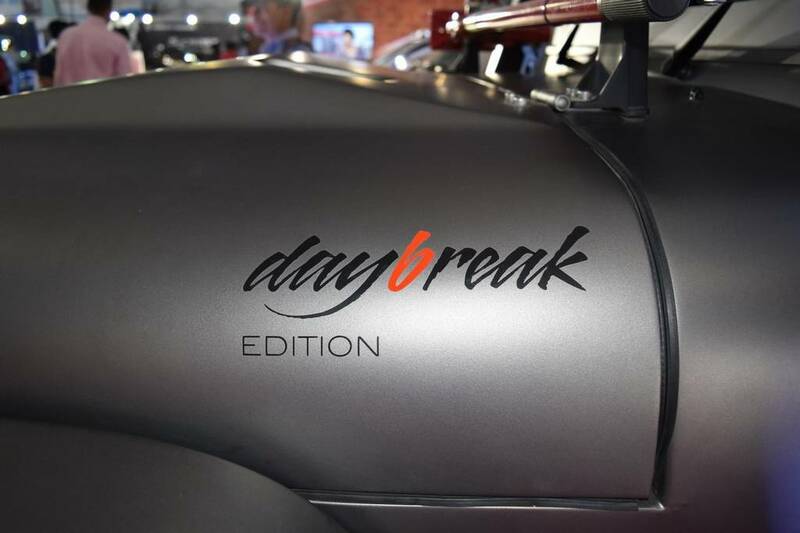 The customisation kit for Daybreak Edition, which in itself is a successor of the potent Thar 4×4’s Midnight edition, is reportedly offered at a price of Rs. 9.6 lakh while the buyers wanting to add the optional metal roof will have to pay Rs. 1.5 lakh in extra. It consumed over two months for Mahindra Customisation to create the Thar Daybreak edition and the results were astonishing indeed. 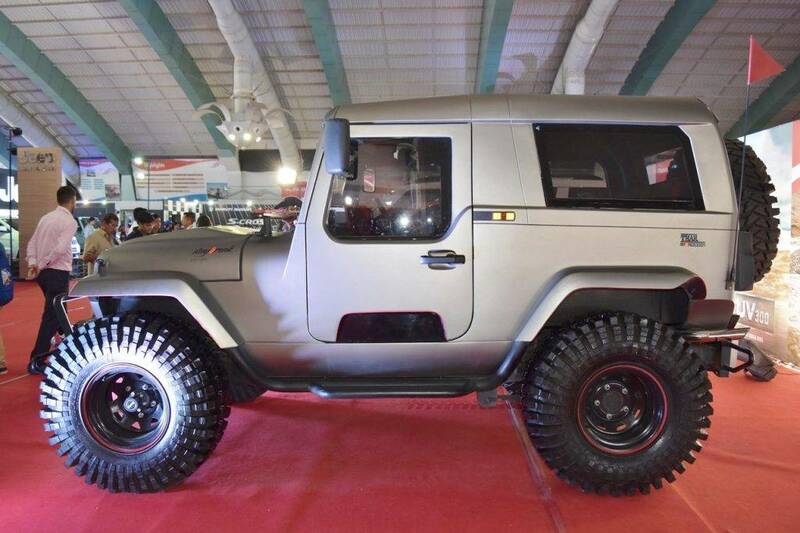 It comes equipped with humongous 37-inch off-road prepared rugged Maxxis Trepador tyres, matte grey body panels with day break sunlight red accents, modified steel Stinger bumpers and rock sliders, rally seats, roll over bar for better stability and protection, rear axle differential lock technology, heavy duty electric winch for towing purposes, etc. Additionally it gets redesigned bodywork, a snorkel, round-ish LED front headlamps, chrome finished twin exhausts at the rear, transverse seat on rear cabin, wing mirrors mounted up the A pillars, LED tail lights, huge spare wheel integrated at the back, air scoops on the wider bonnet, prominent vertically slated grille, beefed up suspension and raised ride height. Mahindra had no intentions to make any mechanical changes as the Thar DayBreak Edition was powered by the same 2,498 cc NEF TCI- CRDe four-cylinder diesel engine which is capable of producing 105 bhp maximum power at 3,800 rpm and 247 Nm of peak torque at 1,800 rpm. The power is sent to all the four wheels through a five-speed manual gearbox.